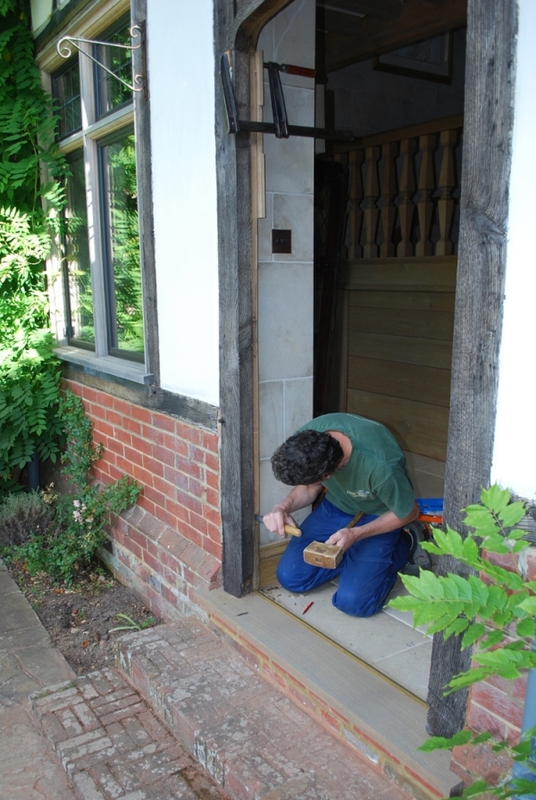 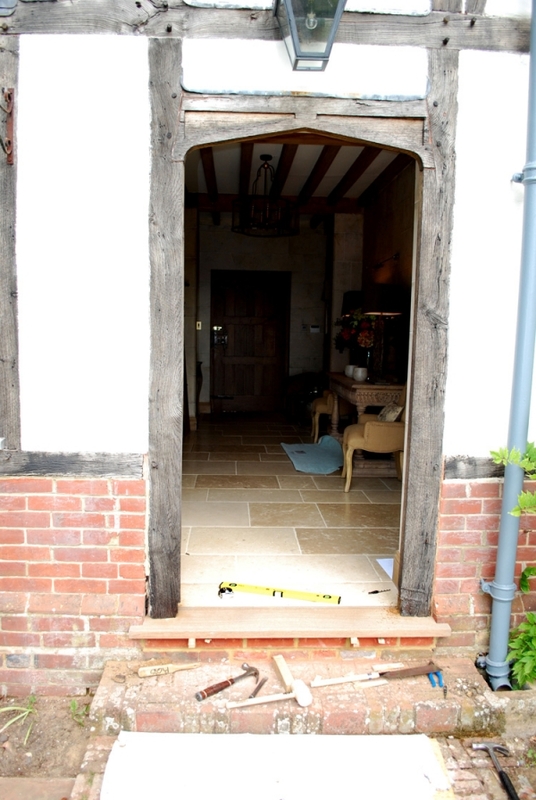 We were asked to make and fit an oak door but to use the existing frame, although we did replace the cill and fit a brass water bar.The frame was patched where the old hinges, latches and weather bar sat. 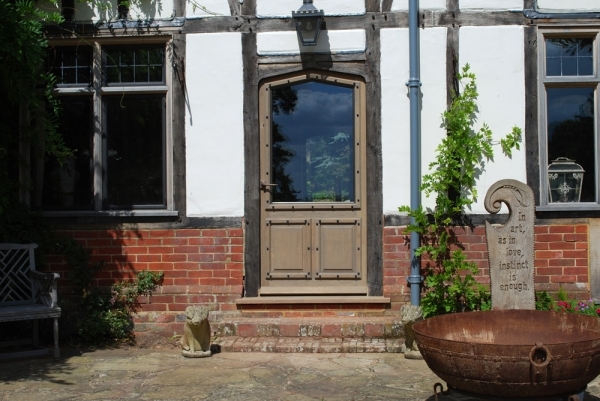 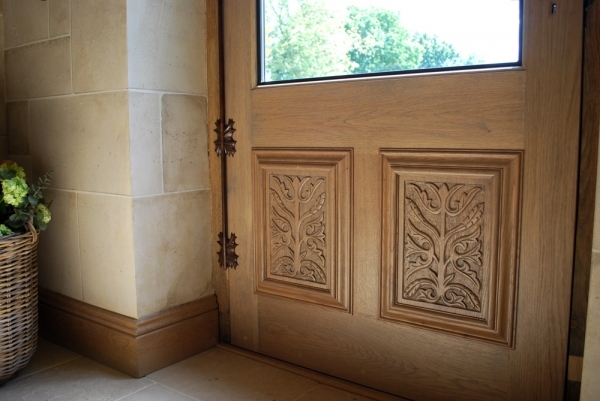 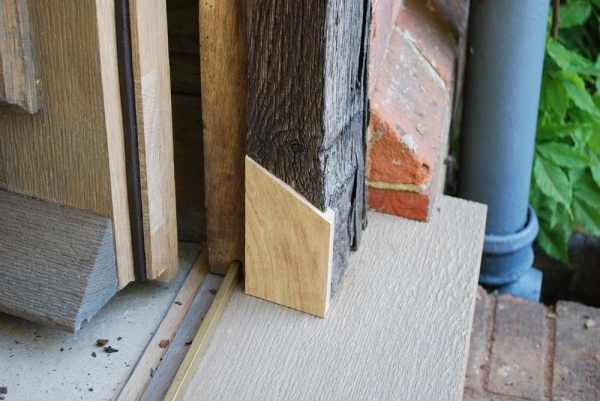 The oak door has hand carved panels inside and is fitted with a Vale Bronze Casement double glazed unit. 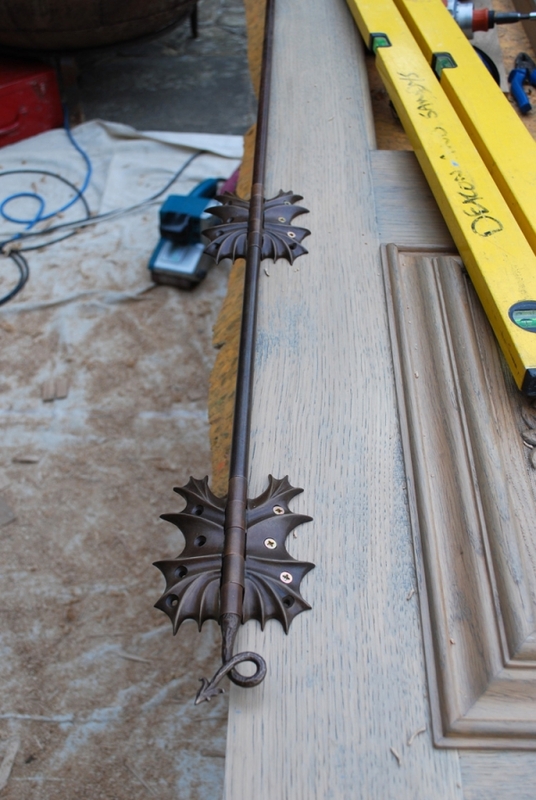 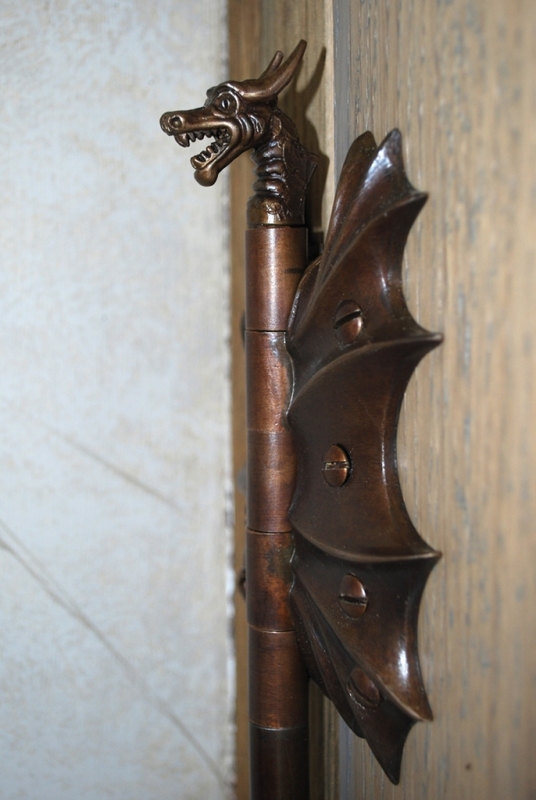 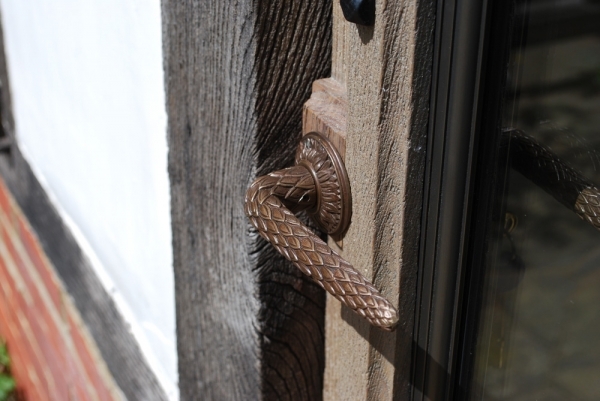 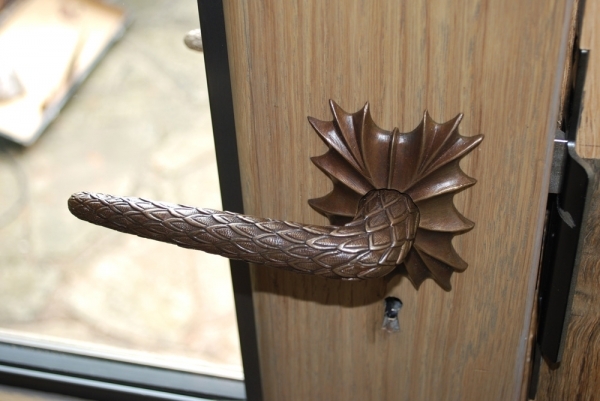 Probably the stand out features of this door are the hand cast and finished dragon hinges and handles,these were made for us by a local foundry based in Staplehurst.